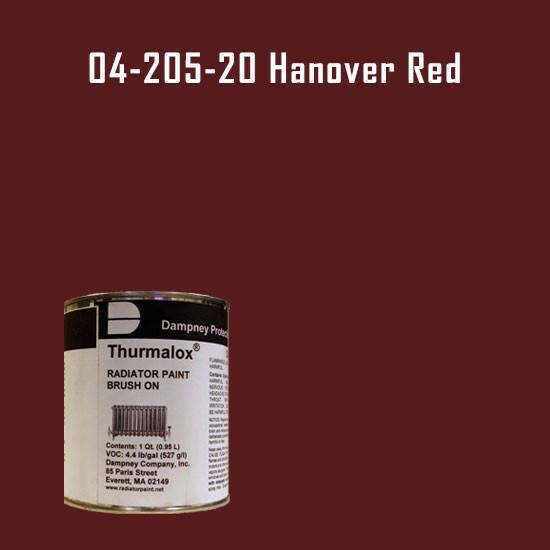 Thurmalox® 200 Series Hanover Red Radiator Paint - 1 Quart Can. Thurmalox Radiator paint is a high temperature paint/coating that can be applied with a brush (china bristle) to a clean metal surface. Thurmalox 200 radiator paint is easy to apply, air dries and withstands continuous temp's to 500°F. Thurmalox 200 series coatings are single component heat resistant coatings based on modified silicone resins and thermally stable pigments. They are formulated specifically to protect metal surfaces operating to 500°F (260°C). For maximum corrosion protection prime metal surfaces with Thurmalox 210 modified silicone zinc dust heat and corrosion resistant primer and topcoat with Thurmalox 200 series. The 210 primer/200 series topcoat system provides outstanding adhesion, film integrity, color stability, corrosion-, weathering-, and thermal shock-resistance throughout this entire temperature range. Thurmalox 200 series coatings are available in 28 standard colors. METAL CLEANER and THINNER needed for Lab-metal and Hi-Temp Lab-metal. Removes paint quickly and efficiently. 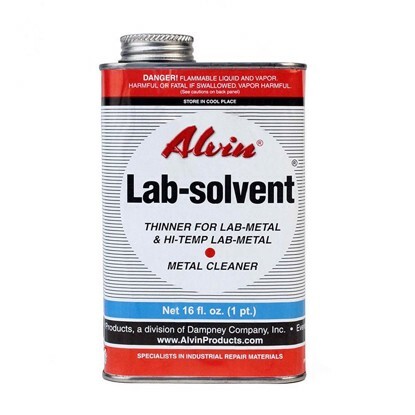 Lab-solvent thins Lab-metal to paint consistency for brushing or spraying a metallic coating. Application tip: Before closing the container of Lab-metal, pour a small amount of Lab-solvent over the remaining contents of the metal repair putty. This will extend shelf life of unused Lab-metal and Hi-Temp Lab-metal.